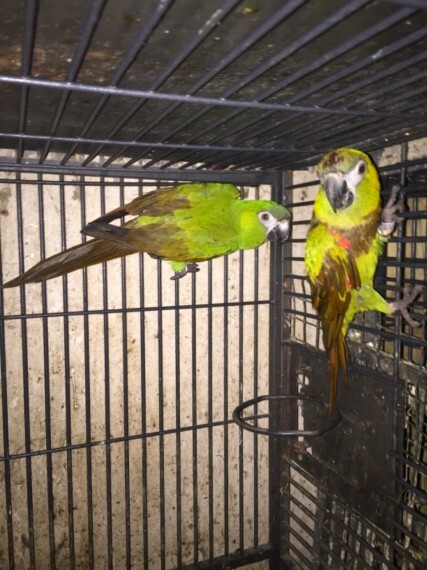 Hahns macaws pair. dna sexed steady but not hand tame. in top condition. 2015 closed rung. 650 pair. No offers please. Genuine birds pictures attached while they had bath. The birds are still for sale if this advert is displayed.